Our organization is proficient in exporting and manufacturing superiority Welding Wires and Cables. These wires and cables are manufactured using advanced techniques and best quality resources procured from authorized vendors. These wires and cables are examined based on certain parameters to certify its quality before delivering. We offer these wires and cables at an economic range to our customers within their mentioned time period to meet their demands. We are one of the leading companies offering a wide range of High Voltage Welding Cables. We have a team of proficient laborers who design these products using superior quality conductors and insulators. Moreover these are processed under sophisticated technologies under the guidance of our professional experts. We offer these cables at competitive price range along with customized services. Our precision engineered TRS Welding Cables are used in the welding work of TRS (Tip Ring Sleeve) cables in telecoms and other engineering industries. These are well acknowledged in the industry circle for their unmatched features including insulation with HOFER synthetic rubber. Our range of TRS Welding Cables is available in copper and aluminum. Bhuwal Insulation Cable Pvt Ltd, based in India, is leading Manufacturer & exporters of cable crimp lugs and associated with complete online solution of manufacturing cables, Cutting & stripping of cables & crimping lugs. 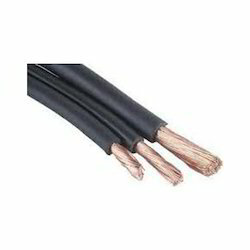 We Bhuwal Insulation Cable Pvt Ltd have complete facility of cable manufacturing, cutting & stripping of Wires/cables as per customer’s requirement. Our state of the art equipment enables us to cut cables to length and strip cable insulations.. The equipment is modular and enabling optimized solution depending on required length, wire size and strip length, as well as in house cutting tooling providing a highly reliable and accurate process yielding high quality and low cost. Multiple blade position and cutter head for multistep operations. We can manufacture the same as per customers drawing & requirement also.